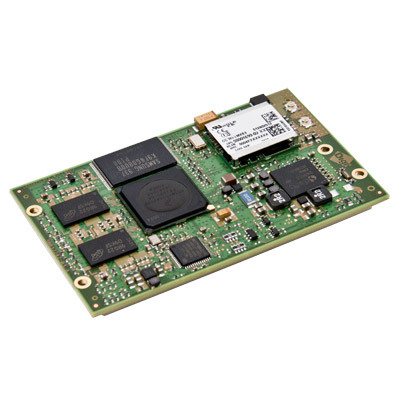 The ConnectCore for i.MX53 family builds on the successful ConnectCore for i.MX51 modules by providing a form factor compatible option with significantly improved processing, memory, video and connectivity capabilities. It is a scalable and energy-efficient module family that is ideal for medical devices, security/surveillance equipment, industrial applications, kiosk systems and digital signage integration. Modules in the ConnectCore i.MX family feature the design, development and administrative advantages offered by the iDigi® Device Cloud™. This secure, highly-scalable platform seamlessly ties enterprise applications and remote devices together. Modules in the ConnectCore i.MX family feature the design, development and administrative advantages offered by the iDigi® Device Cloud™. This robust cloud platform makes it easy to configure and manage deployments and integrate devices with virtually any application. Device manufacturers can build secure, highly scalable and cost-effective solutions that seamlessly tie assets to applications, regardless of location. Complete and cost-efficient Digi JumpStart Kits® for Digi Embedded Linux, Timesys LinuxLink, Android and Microsoft Windows Embedded Compact 7 allow immediate and professional embedded product development with dramatically reduced design risk and time-to-market.